Almost exactly a year ago, I bought a Kobo Touch e-reader. 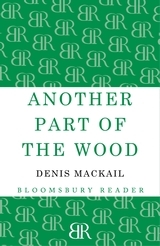 I have been thankful for it many times since then but probably never so much as when I recently discovered that my library’s e-book collection included a copy of Another Part of the Wood by Denis Mackail. I have been eager to read more by Mackail since discovering the charms of Greenery Street in 2010 and especially since becoming a wee bit obsessed with the many books written by his elder sister, Angela Thirkell. Though Mackail was a busy writer (you can find his full bibliography here) his books have fallen sadly out of print. Greenery Street is readily available from Persephone and, thanks to Bloomsbury Reader, Another Part of the Wood can also easily be got, albeit only as an ebook right now. And it is well worth getting. For though no one seems to be quicker than Noodles at identifying rather awful men when they cross her path, experience suggests that no one is less capable of dealing with them once they have done so. First, she finds that she has attracted the unthreatening but determined attentions of a ne’er do well neighbour. She is properly horrified by his interest but not so horrified as her guardian, who packs poor Noodles up and humiliatingly sends her back to St Ethelburga’s. (Coincidentally, being sent back to school after having graduated has been one of my more intriguing recurring dreams since I left my own school, though I think my dream self views the whole exercise as less traumatic than poor Noodles does.) After a few disastrous weeks back at school, where it is discovered that she has forgotten most of what they taught her before she left, Noodles finds herself running away to join a seedy variety show in a seaside town. As you do. Noodles remains remarkably plucky (an adjective I don’t get to use as often as I’d like) throughout her adventures , even as her innocent approach to the world undergoes a necessary change: Noodles quickly learns that her polite ideas about being nice to everyone who is nice to her isn’t always the best or safest approach. Meanwhile, as Noodles is bouncing around from school to home to school to seaside, her brother Beaky and his flatmate Snubs are toiling away at unimportant jobs in London. Beaky is struggling with his passion for the lovely Sylvia Shirley while Snubs, the more level-headed of the pair, takes an usual amount of interest in the updates Noodles sends her brother. When she disappears from St. Ethelburga’s, the two young men set off in search of her, with their adventures (and misadventures in poor Beaky’s case) proving just as amusing as Noodles’. The story bounces between them, Noodles, and, on occasion, Sylvia, tracking the parallel activities of all the characters until they all come together for a very happy ending. The fat one is really a splendid example. The one with the bare legs might not appeal to all tastes, but is distinctly worth looking at. Published in 1929, Another Part of the Wood is a comic novel very much of its time. In other words, it is perfect for me. I dearly hope more of Denis Mackail’s books are reissued soon. I was thinking this wasn’t for me until I came to that last quote. Now I’m off to my library site to see if I can get this for my Kobo. Oh, lovely. This sounds more fun than Greenery Street! Thank you for introducing me to a new author! I love comfort reads. O. Douglas is one of my favorites. I’m off to find Greenery Street! I didn’t know that Denis Mackail and Angela Thirkell were related! Amazing. This book sounds wonderful. Oops, fatal! 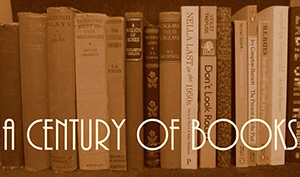 I didn’t know there were any ebooks! I am almost as great a fan of Mackail as I am of Thirkell. Have bought it, of course.